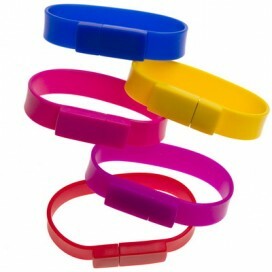 Silicon wristbands with a USB flashdrive built in. Available in chip sizes up to 16GB. Pantone matched rubber coating available on 300 + units. Pantone matching available on 300+ units.